Business people eh? Ruthless, bloodthirsty? Maybe in the 80s. The modern businessman of today is a trendy fellow, teleconferencing his power brunch over a goatee and a grande macchiato. We weren't expecting much from the Samsung P580, but this is a highly usable laptop that offers surprising punch when it comes to performance. The anti-glare screen won't please everybody, however. Samsung's P580 offers a lot for its price, but it's not necessarily what business users will want. However, if you fancy some 3D gaming or frequently use graphics-accelerated applications, and can live with its short battery life, this versatile and durable laptop is a good candidate. The Samsung P580 is an old-fashioned laptop hiding an old-school legacy port, sporting the latest Intel and nVidia silicon inside. Unfortunately mobile workers may also balk at the old-time runtime of little over three hours too. It's a chunky heavyweight that lacks the build integrity and finesse of HP or even Dell, but that sub-£750 price may win over a business accounts department. It can't match the business heavyweights, but has a dash of style and a lower price to compensate. Designed with an eye on practicality and with style often factoring low in the equation, corporate laptops are rarely things of beauty. Samsung's new business-oriented P580 doesn't do anything to alter this image. The P580 is a well-made, portable business laptop that is reasonably priced. The wow factor has to be its graphics handling and HDMI out, but it is not going to win awards for looks. Not the most attractive business machine, but it's robust and performs well. Designed with an eye on practicality and with style often factoring low in the equation, corporate laptops are rarely things of beauty. The P580 is a well-made, portable business laptop that is reasonably priced. The wow factor has to be its graphics handling and HDMI out, but it is not going to win awards for looks. The P580 is a well-made, portable business laptop that is reasonably priced. The wow factor has to be its graphics handling and HDMI out, but it is not going to win awards for looks. 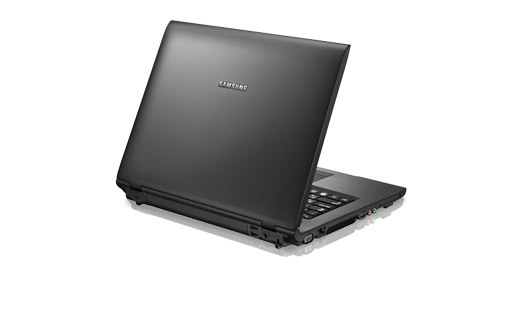 The Samsung P580 is a decent notebook, with a robust design and good keyboard. The battery life probably isn't good enough for the frequent traveller, but if your notebook resides mainly on your desk it should be OK.
With a great screen, keyboard and touchpad, plus the excellent build quality, the Samsung P580 has plenty going for it. Its fast 3D performance is notable, too, but unless this is a priority, it's hard to justify the high cost compared to similar but cheaper models that are quicker in Windows and have longer-lasting batteries. If you can find it cheaper, though, it's a good buy.